Adrenalin MisfitsNov 4, 2010Adrenalin Misfits is Konami's first ever Microsoft Kinect title. Also known as "CROSSBOARD 7", Adrenalin Misfits uses the player’s movements to steer their on-screen creature who is barreling down a series of hazard-strewn courses. The play..
Blade KittenSep 22, 2010Based on the Web comic of Krome's creative director, Blade Kitten is the Brisbane-based studio's second original IP. 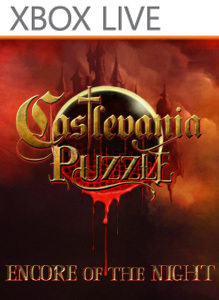 ..
Castlevania Puzzle: Encore of the NightFeb 16, 2011 (US)Take control of Alucard, son of Dracula, and experience Castlevania in a whole new way on Windows Phone 7 with Castlevania Puzzle: Encore of the Night! Konami brings you a truly innovative Puzzle-RPG system, an exciting first for the Castlevania seri..
Castlevania: Lords of Shadow CollectionOctober 29, 2013The Castlevania: Lords of Shadow Collection contains the original Castlevania: Lords of Shadow. In addition, Castlevania: Lords of Shadow – Mirror of Fate HD, the Castlevania: Lords of Shadow 2 demo, and both the Reverie and Resurrection DLC packs wi..
DanceDanceRevolutionApr 12, 2011 (US)With over 11 years of history, DanceDanceRevolution comes back to the Xbox 360 with nonstop dancing action in your living room! 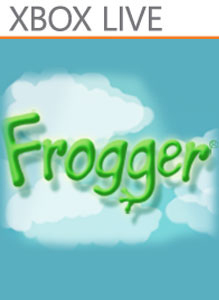 ..
FroggerOct 10, 2010Frogger is celebrating his 29th birthday but has never felt younger. One of the top selling video games of all time just got better with the integration of Xbox LIVE leader boards and achievements. Enjoy this long standing arcade classic in its best..
Konami Classics Vol. 1 Dec 15, 2009 (US)Play classics like Super Contra, Frogger and Castlevania Symphony of the Night in its original state or in an enhanced mode with upgraded Hi-Def support at 720p along with a special graphics improvement filter resulting in smoother visual game qualit..
Konami Classics Vol. 2Dec 15, 2010 (US)Play classics like Contra, Rush 'n Attack and Track & Field in its original state or in an enhanced mode with upgraded Hi-Def support at 720p along with a special graphics improvement filter resulting in smoother visual game quality. 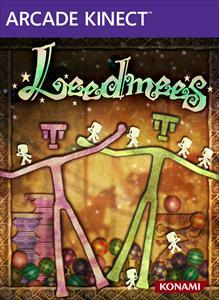 ..
LeedmeesSep 7, 2011Your body is the controller is in this whimsical and dreamlike game. Guide the Leedmees, a mysterious population of small and creatures, home, using your limbs and head as bridges and walkways. Lift them up, toss them about, and slip them past treach..
Metal Gear Solid HD CollectionNov 8, 2011 (US)From the critically acclaimed director, Hideo Kojima, Metal Gear Solid HD Collection offers a handful of the most popular Metal Gear Solid titles from the past in true HD for the first time ever. Featuring three complete games, Metal Gear Solid 2: So..
Metal Gear Solid: RisingTBAKonami Digital Entertainment, Inc., announced today that Metal Gear Solid: Rising is currently in development for the Xbox 360® video game and entertainment system from Microsoft - the first Metal Gear Solid game to launch on the Xbox 360®. 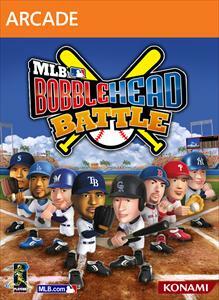 Raiden, o..
MLB Bobblehead BattleSep 28, 2011Knock a curveball out of the ballpark with MLB® Bobblehead Battle! This MLB® bobblehead challenge features all of your favorite teams and players with a unique twist – it’s entirely focused on batting! Create customized fields with various obstacles ..
PES 2008Mar 18, 2008 (US)Step up to the fierce competition of the Winning Eleven soccer series. [EU Version]..
PES 2009Nov 11, 2008 (US)The 2009 installment of the award-winning sports franchise brings a raft of extensive new additions that will further bridge the gap between PES and the real thing. The new game has undergone a stunning graphical update to ensure its players look and..
PES 2009 (EU)Oct 30, 2008 (EU)Pro Evolution Soccer 2009 for Xbox 360 by Konami is the latest update to the award-winning soccer series, with new additions, smarter AI, and better graphics for a more realistic game than ever before. With exclusive rights to the UEFA Champions Leag..
PES 2012Sep 27, 2011 (US)Pro Evolution Soccer 2012 is the next iteration in the long-running football franchise, once known as Winning Eleven Soccer. Pro Evolution Soccer 2012 takes digital soccer to the next level by providing a wide range of game improvements over e..
PES 2013Nov 1, 2012 (US)Pro Evolution Soccer 2013 returns to the roots of football with unique levels of control plus major emphasis on the individual style of the world’s best players. Thanks to feedback from dedicated fans, PES2013 offers total freedom to play any kind of..
PES 2016September 18, 2015PES 2016 comes with a whole host of new and improved features that is set to raise the bar once again in a bid to retain its title of ‘Best Sports Game’. Featuring 400+ teams, 10,000+ real players and 2000+ photo realistic player faces, celebrate its..
PES 2017September 13, 2016The award winning series returns taking the famed gameplay to a new level by achieving interactive reality in both control and new authentic visuals. Control reality with a host of new improved features to gameplay, including Real Touch and Precise P..
PES 6TBAPro Evolution Soccer 2006 (PES 6)..
Silent Hill HD CollectionMar 20, 2012 (US)Silent Hill HD Collection bundles Silent Hill 2 and 3 together enhanced with HD upgrades. Silent Hill Re-Mastered Collection combines two classic spine-chilling Silent Hill titles from the past and brings them to the Xbox 360 and PlayStation..
Winning Eleven 2008Dec 31, 2007 (JP)Winning Eleven 2008 [Japan Import] (NTSC-J)..
Winning Eleven 2009Nov 7, 2008 (JP)Winning Eleven 2009 [Japan Import] (NTSC-J)..
Winning Eleven 2010Nov 3, 2009Winning Eleven 2010 for Xbox 360..
Winning Eleven XFeb 06, 2007 (US)Winning Eleven X [Japan Import] (NTSC-J)..
Yu-Gi-Oh! 5D's Decade DuelNov 3, 2010 (US)Based on the popular Yu-Gi-Oh! 5D's animated TV series Includes the latest cards from the official Yu-Gi-Oh! 5D's Trading Card Game Complete against the most popular Yu-Gi-Oh! 5D’s characters during the finals Battle through Single player or compete ..